So everyone has heard of Rodial Skincare and their cult products – I remember in particular really wanting the Instaglam Compact DeluxeTranslucent HD Powder for ages, and it being completely out of my price range. It's used by loads of celebs, even Kylie! However, I feel like they don’t get much exposure on the blogger/YouTube world, in my opinion anyway. The brand has always attracted me: there is something about buying and owning luxury make-up which is just so so super satisfying. You feel like you've really invested in your skin. Now I'm at uni I don't buy anywhere near as much make-up as I did - but sometimes I just cant resist! 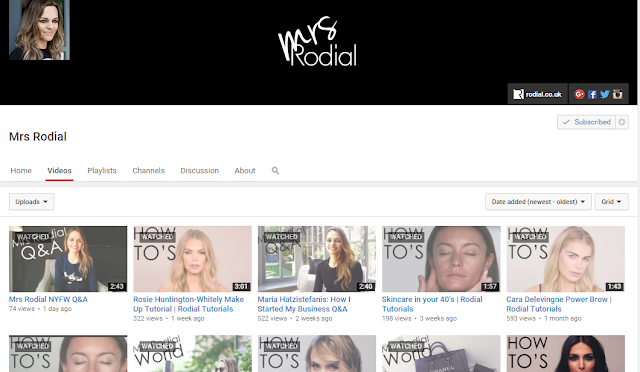 However within the last year, Maria, the founder of Rodial Skincare (and Nip+Fab) has started a new YouTube channel: Mrs Rodial. 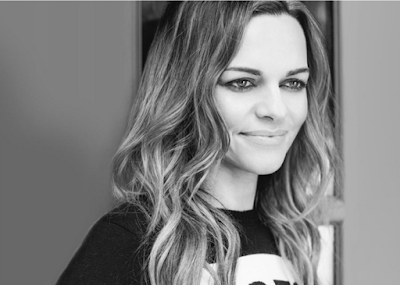 She seems to be challenging the boundaries of normal brands – and I love it! To be honest, I don’t subscribe to a lot of brands YouTubes. In general, I hate them. I feel like I want real people and their opinions and you don’t get that on most brand’s channels. It's normally irrelevant make-up artists creating average looks that most of their target audiences probably wouldn't even replicate. The thing I like about Rodial’s channel is the founder actually sits there and makes the videos. She is genuinely that passionate that she wants her customers to actually get to know her personally. Maria does Q&A’s, holiday packing videos, and all sorts of normal, down-to-earth, YouTube stuff. She also shares business tips, and talks about how to become successful - which is so interesting. You can pretty much follow Maria and the brand around the world! It’s a great contrast to the usual mediocre promoting videos. Beauty stuff: of course they show Rodial products, that’s what a brand must do. The videos they make are relevant and well done. They do really basic, easy videos for people who aren't make-up artists in the slightest (me) and it lets you get a really good grip of their products and how they are really meant to be used. Have you checked out the Rodial Skincare YouTube channel yet? The professional seller of prime male provides all the information on buying guidelines of PrimeMale from Testosterone Official website site. References - Velez, V., n.d. Mejores tratamiento para bajar de peso en 2018 [WWW Document]. Adelgazaroficial.com ie. Adelgazar oficial. URL https://adelgazaroficial.com (accessed 11.16.18). NATURAL APPETITE SUPPRESSANT. Only 1-2 capsules daily subdues your appetite naturally. Forskolin Edge extinguishes your appetite which aids you in losing weight by governing the hungry sensations so you eat less. ... This can produce a loss of body fat and, theoretically, increased lean body mass. to mention how they believe. Always go aftr your heart. Purchasing these automated Tools can help promote your product and attract subscribers when used under the terms and conditions of YouTube rules and regulations with rapid additional monitoring.buy usaYoutube comments try from here..you can get a lot more from here.. If your brand is well known you could use that as a tag also. There is no telling exactly what people are likely to type when searching for content either on Google or YouTube.